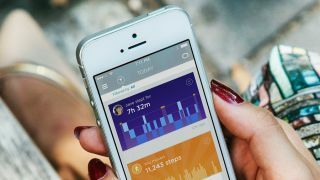 The sedentary life of many modern information workers has spawned a boom in sales of devices that let you track how much you move during the day, and how much sleep you get at night. About 15 percent of US adults own one. Another 50 percent are considering buying one. These sleep trackers, combined with other devices, let people pursue a "quantified self" lifestyle, where different aspects of your life are given good or bad ratings. The idea is that you can then easily figure out how to change your life to fix any problems. But doctors at Rush University Medical Center's behavioral sciences unit have warned that pursuing this lifestyle may have unintended consequences in some people. "It’s great that so many people want to improve their sleep," said Kelly Glazer Baron, a researcher in sleep disorders. "However, the claims of these devices really outweigh validation of what they have shown to be doing. They don’t do a good job of estimating sleep accurately." Baron has been studying how people go overboard when it comes to tracking their lives. "Some people do take it too far, and that can be stressful,” she says. Baron, along with some colleagues, has published a report in the journal Sleep Medicine on the phenomenon – which they've named "orthosomnia". The extreme fixation on the poor data coming from sleep trackers, they say, can actually hinder the treatment of sleep disorders in some people. “They think the devices are able to do more than they really can," Baron says.